Pinball Machines + Arcade Video Games. Playwell Classic Multi Game Table (Arcade Video Cocktail Table) Play all your favourite games and re-live those awesome childhood memories ....60 Games in One. 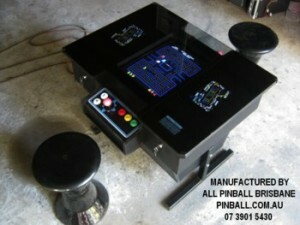 Specialists in Brisbane Australia for Service & Repairs to Pinball & Arcade Games. 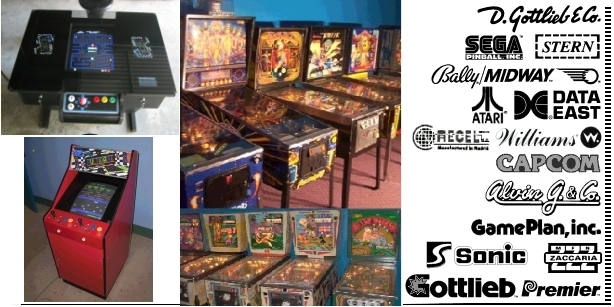 Electronic (Solid State) Pinball Machines + Arcade Video Games. We Provide Free Technical Advice, Just email or Phone us (see details below). Manufacturers of Playwell Classic Cocktail Multi Video Game Arcade Tables. Mobile phone: 0422 050 190. 1222 Stanley St East Coorparoo Brisbane, QLD 4151. Trading Hours: Monday to Friday 9AM TO 6PM. Saturday times vary, please call.